It’s all good this week. Not great, not spectacular, but it’s good. 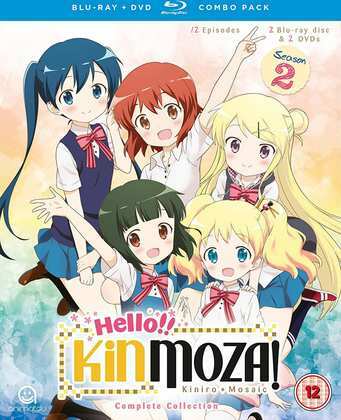 The first review was for Hello Kinmoza! Season 2, the long delayed sequel to the sugar-sweet slice-of-life series that saw its debut last autumn. It’s about the Japanese girl who loves all things blonde and British, and the English girl who loves all things Japanese, and the fun they get up to together with their friends in a Japanese high school. This show is all about the cute, and in Hello Kinmoza, you get the pure stuff. We didn’t have to wait nearly as long for Occultic;Nine Volume 2, which is useful as Part 1 left us on quite the cliff-hanger. And I can’t really talk about it here, or in my review as it would be an almighty spoiler. The trick that Occultic;Nine would have to pull off was to live up to that jaw-dropping revelation, and in the end, while the conclusion to this mystery show is watchable enough, it never really satisfies. Click on the review to read why, but I do promise that there are no spoilers. 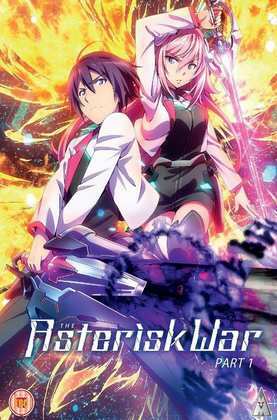 My final review of the week was for The Asterisk War Part 1. It’s yet one more show about a boy who attends an elite high school where students have to battle in some magical/technological/giant robot way for status. It’s an identikit light novel adaptation that I have reviewed in many forms in recent years, and I wasn’t expecting anything special, or different from The Asterisk War. I wasn’t really disappointed in my negative expectations of its story, but how this show did surprise me was with its characters. The bottom line is that it’s really quite nice. And ‘nice’ can be underrated sometimes. Animatsu released Hello! Kinmoza! 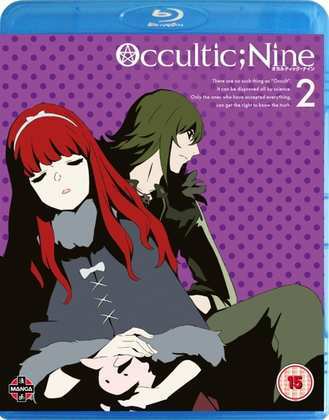 Complete Season 2 on Blu-ray DVD combo on 2nd of July, and that’s when their sister label Manga Entertainment also releases Occultic Nine Volume 2 on Blu-ray and on DVD. MVM’s The Asterisk War Part 1 comes out on Blu-ray and DVD on August 6th.